Dealing with the IRS can be stressful. Whether you’re facing an audit, dealing with a tax levy, or sorting out tax issues related to running a business, ensuring your compliance with state and federal laws can be confusing at best. If you’ve been contacted by the IRS about a tax issue, don’t panic. We’re here to help. 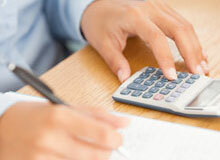 At Sierra Bookkeeping & Tax Service, we offer professional tax representation service in Sacramento, CA. The tax professionals at Sierra Bookkeeping & Tax Service are committed to taking the stress out of tax time. We have the in-depth knowledge it takes to help you work through even the most complex tax issues. And because we understand that dealing directly with the IRS can be time-consuming and intimidating, we’re happy to handle it on your behalf. You don’t have to take on the IRS on your own. 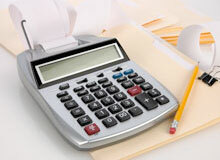 Get the professional help you need at Sierra Bookkeeping & Tax Service in Sacramento, CA. Call us today to schedule your appointment.